Hey guys. I have been using FS Realtime for years and never had any problem. Anyway i just recently noticed in FSX that the times for UK are wrong somehow but not europe which is why it's really weird. UK times should now be GMT +1 but in FSX it's same as GMT. European cities seem to be correct with GMT +2. Anyone can help or suggest anything please? 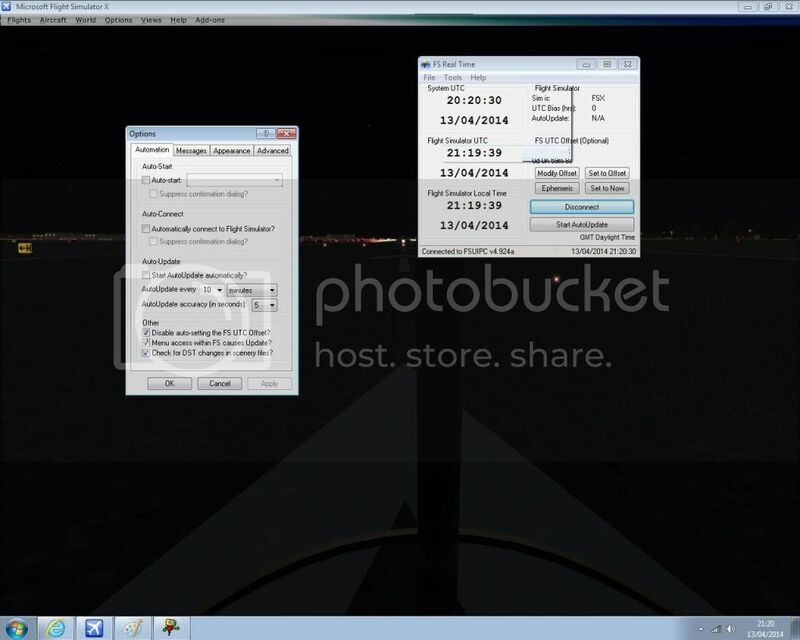 Verify that your time is set correctly in FSX. I went to EGSS where the aircraft clock showed 13:25 GMT and 14:25 local time - the correct time and the times showing in the 'Time and Season' setting section of FSX. I then went to EDDF - the clock showed 13:28 GMT and 15:28 local time - which actually surprised me because I was thinking that since the rest of Europe did not change to DST until 2008 that FSX (stuck in ~ 2005) would not show the DST shift correctly but it did - then I remembered that (on this computer) I experimented with some data updating which focused on facilities, nav aids, magnetic correction, etc. but may have adjusted the time also (an 'unadvertised bonus' if you will). None the less I am showing the correct times so check your FSX settings. I will check my primary computer (not yet loaded with the updates) to see if there is a difference. 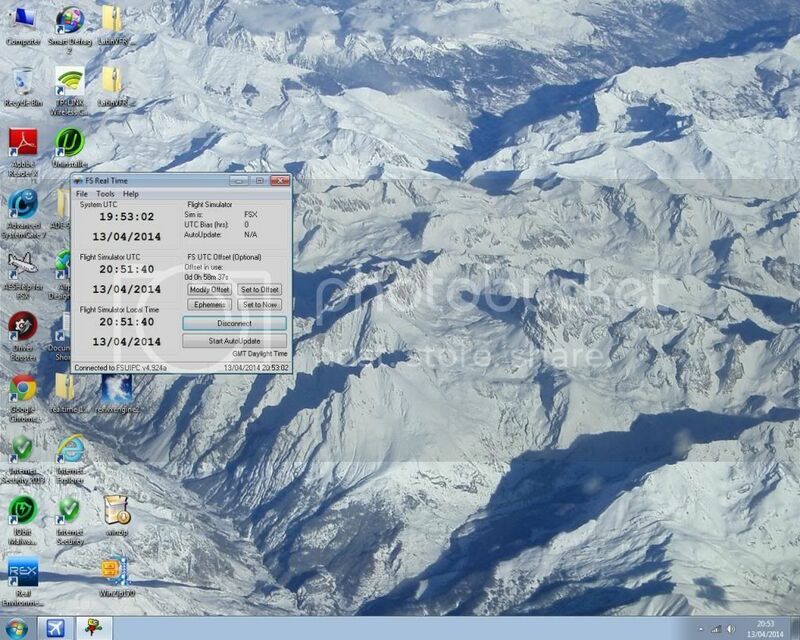 How do I verify time is sey correctly in fsx? I did check the time and season before clicking fly now and I selected egll. Gmt showed same as local time when local time should be one hour ahead. How do I correct this please? Sorry for the delay - checked my main computer and get the same results. So, apparently FSX is giving the correct time. Also - verify that your computer time is correct and correctly detecting daylight savings time - since FSX gets its time from the computer time unless you are connected to a server that provides the time/date. I'm away so kind of going on memory so I can't verify, but this should get you started. When FSX creates a flight, it starts by using a "local time". It gets this from a saved flight or the computer (system) local time. Then it computes the GMT from the aircraft position and its internal timezone files, unless you use FSRealtime, in which case FSRT will determine the GMT. Once GMT has been determined, FSX will maintain that (changing sim rate of course will cause deviation from "clock" time). Again FSRT will correct for any drift. While GMT is being maintained, FSX will continuously determiine local time based on aircraft location and its internal timezone files. Timezone files determine the boundaries of time zones and the time offset from GMT, both "normal" and "DST". The time engine has no DST set. 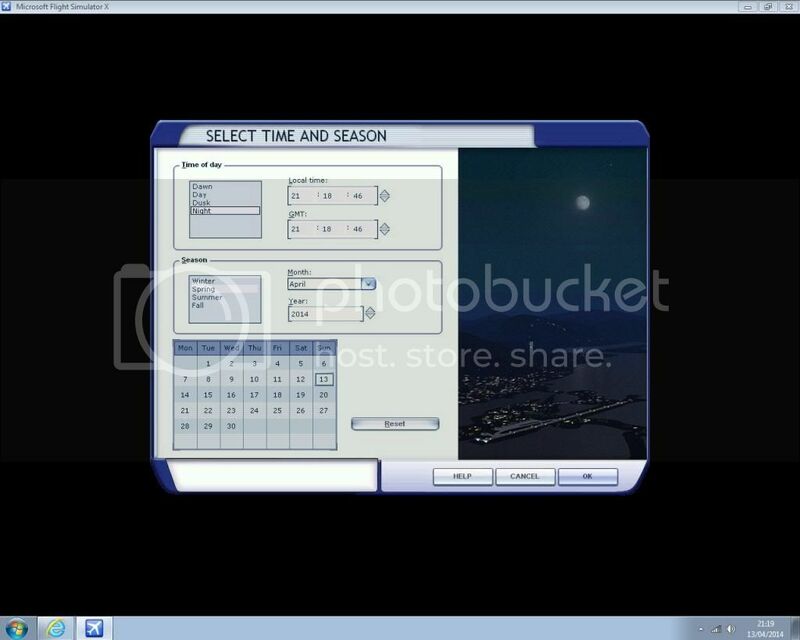 The default scenery has a single timezone bgl file which creates better (not perfect) timezone boundaries and also DST for the US and Western Europe only as of 2006. FSRT includes an addon scenery area with world-wide coverage of timezone boundaries. This scenery is pre-FSX and does not have DST included (that's an FSX feature). Instead what it does is it has separate files for when DST is active, and a "file switcher" utility which replaces the files based on date and time. 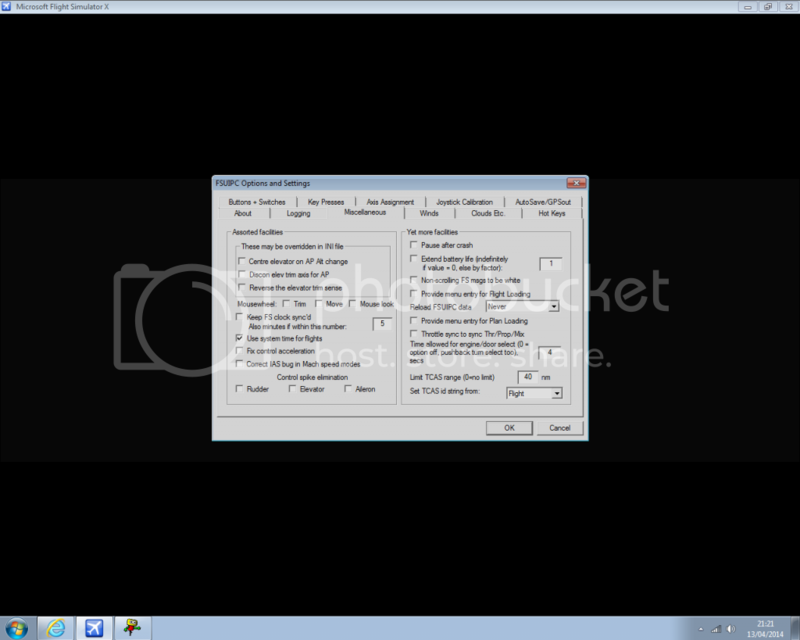 There's an ini file for the switcher which sets the day and time that the files are switched. So if the DST is wrong at your location you need to first ensure that you have FSRT running or you can manually run the switcher. If that's OK you can look at the switcher ini file and pretty much figure out the coveage area for each file and the date that DST is set for. I don't think those timezone files are perfect, so you might slew around a little tomake sure you aren't at a timezone boundary. I live in Bangkok and i confirm that my computer time etc is set correctly. I even tried to change timezone and can confirm that the UK time now is indeed GMT +1. 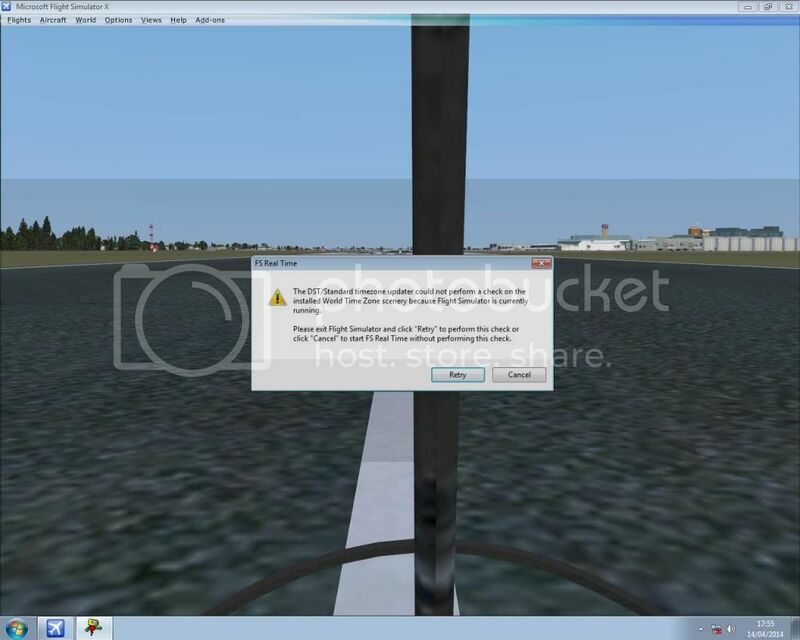 So the only problem is within FSX and it's happening to FS REAL TIME only...:S weird. What can i do now? Or is there any other alternative? I clicked reset and everything you guys suggested but nothing seems to work. 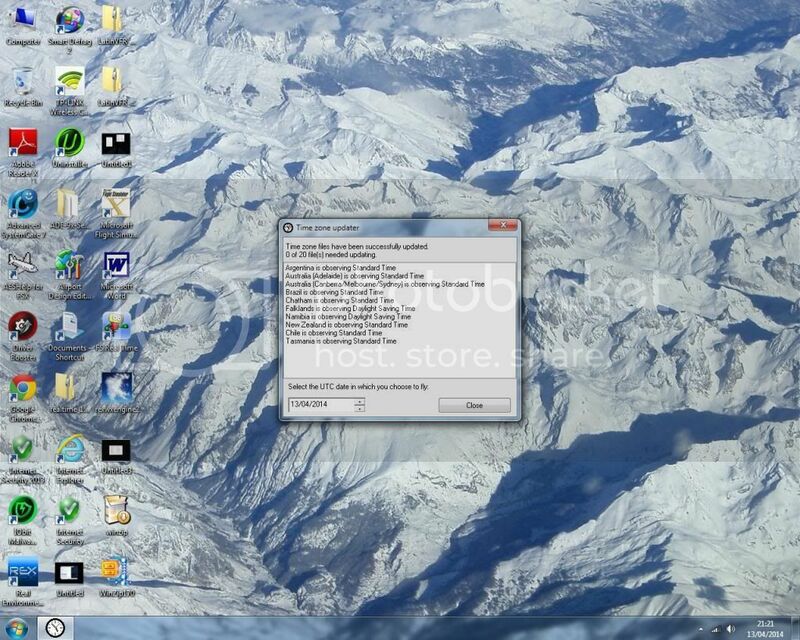 The scenery files that fs real time installed should have corrected this but it didnt. never had problem in FS9 but FSX is weird. Hope you guys can help me more. the rest of Europe is UTC +2 hours which is correct, I have the latest version of FSRT, but cannot figure out what to do. I have completely tried re install of FSRT and cleared FSX of all previous saved flights prior to the UK changeover to DST, but still no avail. If you have FSUIPC installed, the registered version, check under the Misc tab and make sure "Keep FS clock sync'd" is unchecked. Good news. And thanks for posting your solution/settings. It could help others in the future. Just cannot get FS UTC to read my PC system time. Try disabling "Use System Time in Flights". In other words, you want only one program controlling your time. The time issue in FSX is a known bug and this is why FS Real Time was developed. Some say FS Real Time works well, and others say it doesn't work at all. Ah, computers! Then, the stories I have read on the Internet about FS Real Time not working very well are correct. It's difficult to fix a broken engine like FSX. Let us know what you find out, ok? Thanks- tried it but no reply, it's very very poor service they give, no courtesy of a reply nothing, very disappointed in their lack of support. Appreciate any other ideas, please feed them through. That is in FSX .. do you have it ON or OFF in FSX? If you give me some test parameters (settings, location, do this, observe this ...) I will test on my system and see what happens. EBBR Both give the correct UTC and local Time I launch these airports from the default flight. When I launch the FS RL...please see screenshot. Pause on task if ticked in FSX, I have tried it with it ON and Off but sadly no help.